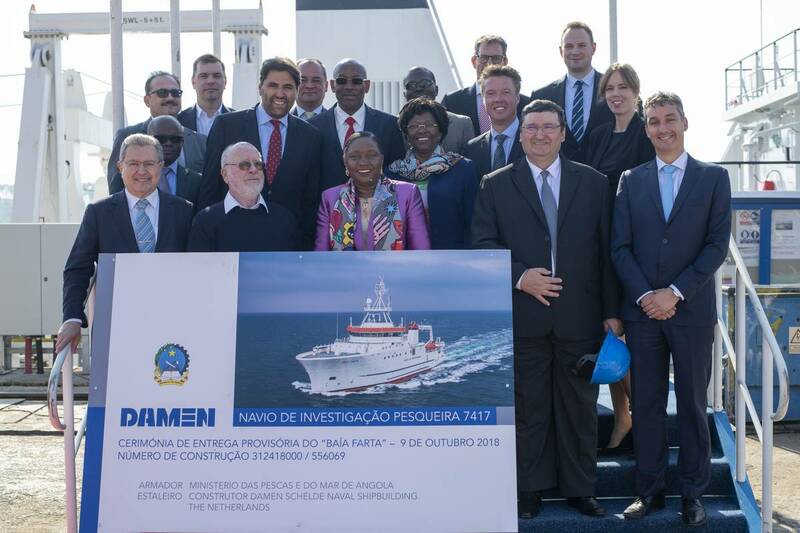 Damen Shipyards Galati has made provisional delivery of the 74-meter fishery research vessel Baía Farta to the Angolan Ministry of Fisheries. The vessel will remain in Galati until November, when she will set sail for Angola where the final delivery will take place. 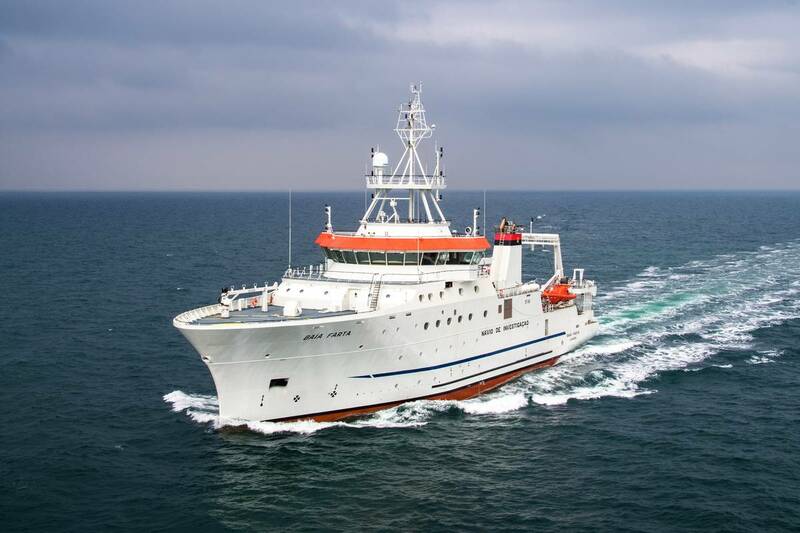 The Baía Farta, a Damen FRV 7417 type vessel ordered in July 2016 and officially launched in November 2017, is equipped for the full range of fisheries research and assessment activities including hydrographic operations, acoustics research, pelagic and demersal trawling, plankton, water, environmental and geographical sampling, oil recovery and emergency towage operations, the shipbuilder said. The Baía Farta has been built to Silent-A/F/R Class notation standards. To maximize her effectiveness in her role, every care has been taken in her design, construction and outfitting to minimize underwater noise as well as onboard internal acoustic noise and vibration, Damen said. 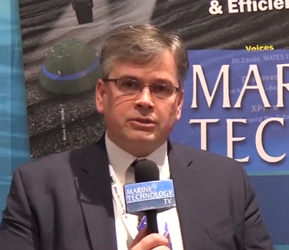 The rigidity of foundations and supports for all potentially noise and vibration-generating components and systems are being thoroughly checked to ensure that they comply with the Silent notation. The shipbuilder noted that expertise from Damen Shipyards Gorinchem and Damen Schelde Naval Shipbuilding also contributed to the vessel's development. The Angolan Ministry of Fisheries and Damen have worked together in the past, with Damen having supplied two, 62-meter, FRV 6210 Fishery Inspection Surveillance Vessels and a smaller Fishery Research Vessel (FRV 2808).